When you think of kugel, you often think of rich, creamy, and sweet kugel. But it doesn't have to be that way! If you are looking for a healthy, tasty Passover side dish that is relatively easy to prepare and flavorful, look no further! This delicious vegetable kugel recipe contains grated carrots, zucchini, celery, potatoes, onion, and garlic mixed with eggs, oil, potato starch, and spices. 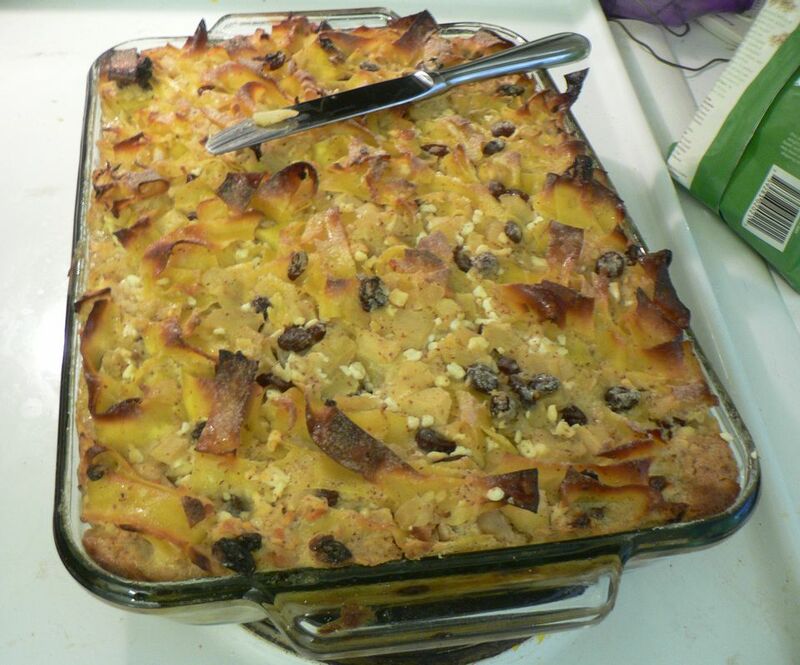 The veggie-heavy kugel will be a welcome break from some heavier Passover foods and all the vegetables provide a lot of vitamins, colors, and a great taste. Heat the oven to 375 F (190C). Oil an 11x8-inch baking pan. In a food processor, grate the carrots, celery, zucchini, potatoes, parsnip, onion, and garlic. Place the chopped vegetables in a large bowl. Stir in the lightly beaten eggs. Add the potato starch, baking powder, salt, and pepper and mix well. Add the oil. Pour the kugel batter into the prepared baking dish. Bake for 1 hour 10 minutes, or until the kugel is cooked through and browned on top. The recipe calls for the vegetables to be grated in a food processor. The food processor will make quick work of the vegetables and maintain a consistent cut to them. If you don't have a food processor or don't want to use one, you can grate the vegetables by hand. There are a lot of them so it might take a while. You'll also want to make sure that as you grate, all the vegetables are uniform in size and shape. This ensures an even cooking and a better eating experience. This recipe is great hot out of the oven or can be made in advance. To reheat it, you can warm it back up in the oven but cover the baking dish tightly in tin foil before you reheat to prevent too much browning on top. Store any leftovers in a sealed container in the refrigerator. Or use the microwave or warm individual pieces in a hot oven. Enjoy it at any time of day. It can be almost like a frittata at breakfast or lunch or a side dish to a heartier dinner meal. If you want to swap vegetables, feel free to omit some you don't like and others you do. You could try sweet potatoes in place of baking potatoes and squash or turnip in place of parsnip. For those that are particularly health conscious, use only egg whites (the equivalent of three large eggs) instead of the eggs. The color of the kugel will be more white than yellow, but it will still taste quite good. If you like a flavor kick, add in a few dashes of hot sauce to the mixture prior to cooking. Why Should Potatoes Have All the Fun? Fry Up Leek Latkes for Hanukkah!